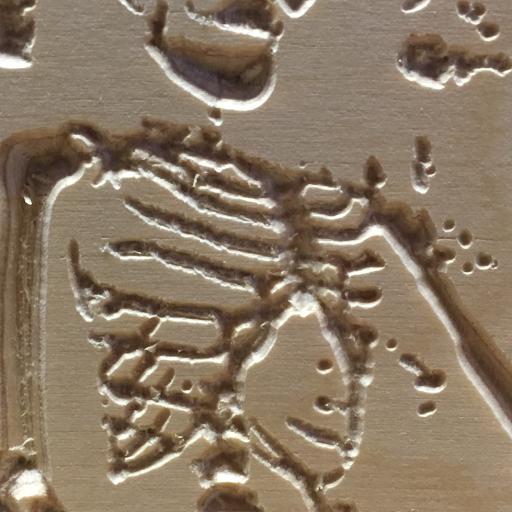 Yesterday I cut, sanded, and shellacked a batch of printing plates. Today I did some tests to see how the birch plywood would perform compared to the scrap wood that I’ve been using. Now to test the various printing methods. The question on my mind is this, “Which is more important, soft paper or high pressure?” Let me cut to the chase, it’s both, but pressure is critical. 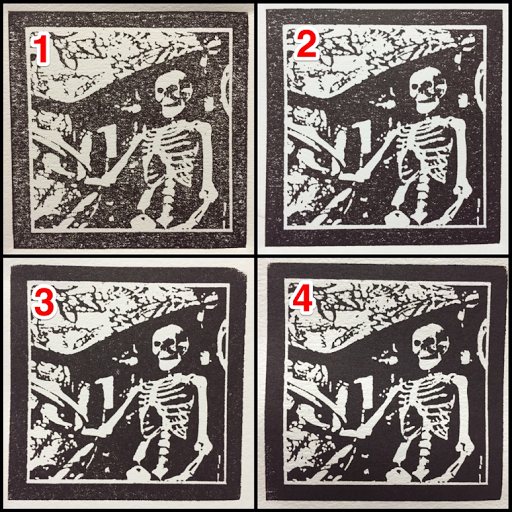 Here are the four tests. unsoaked paper, baren for pressure. 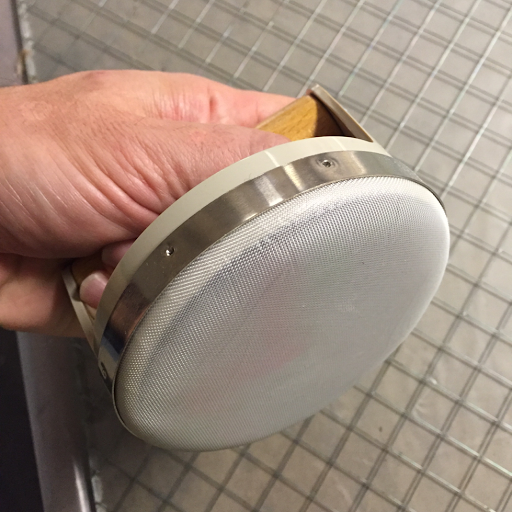 The low pressure that’s available by using a baren made for an awful print. 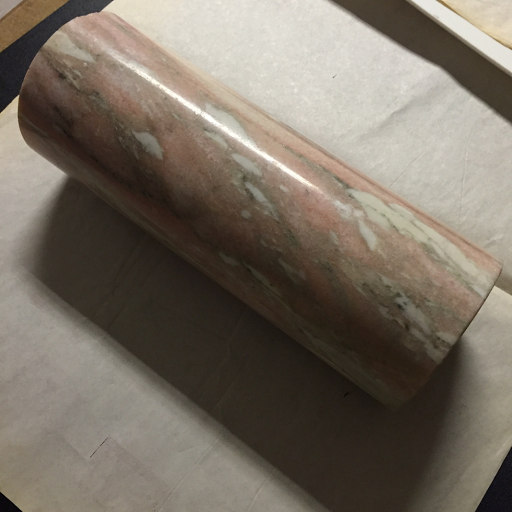 unsoaked paper, foam between the marble roller and the paper. 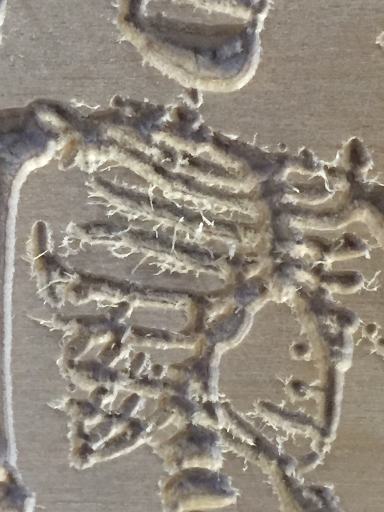 There is more pressure this way, but still not enough to get even a decent print. Unsoaked paper, two sheets of newsprint between the marble roller and the paper. The newsprint is mostly for cleanliness in case ink gets on the marble roller. This is a decent print, telling me that I would probably not need to soak my paper if I had even more pressure. Soaked paper, two sheets of newsprint between the marble roller and the paper. This is an acceptable print for my current skill level. 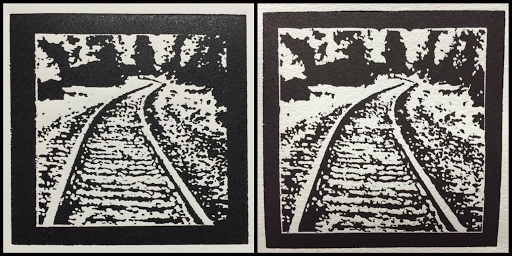 …and finally, a comparison between the best print I could pull last week and the best of today. Look closely at the rail on the left and at the border around the edge. Last week’s print has an indistinct top edge on the rail because I was overinking to make up for a bad block. There are a lot of details missing for the same reason, including great chunks of the hairline border. I have an awful lot to learn, but it’s pleasing to see that I’m on the right track by achieving such drastically improved results on my first attempt with the new method.